Get in the groove with the all new Dolfin Uglies ZENON String Back Female. 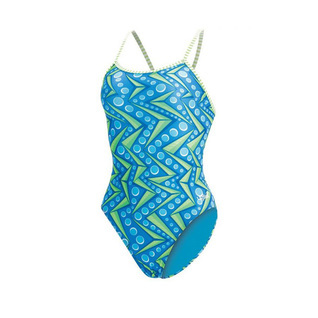 With beautiful zigzag design in bright contrasting colors this amazing practice swimsuit is ideal for serious athletes. Durable polyester construction allows you to train harder for longer with stretch and fade resistance.